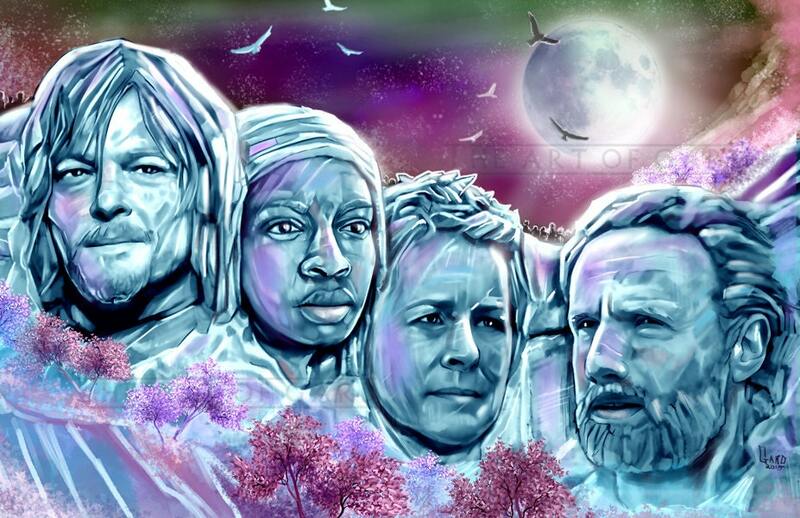 A TWD fan art piece portraying some of the favorite cast members of the show as a Mount Rushmore piece... I call it, "Mount Deadmore." This digital drawing print signed by me and shipped with a clear bag and backing board.